One of a Kind | Arts and Culture | Style Weekly - Richmond, VA local news, arts, and events. 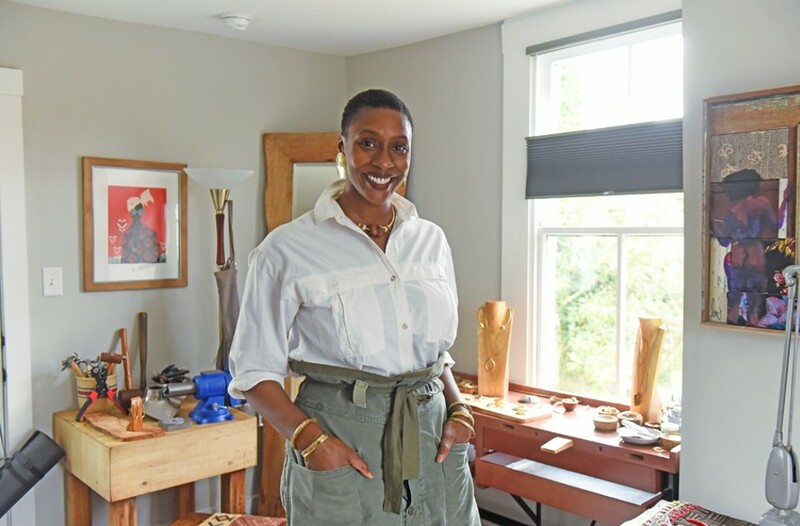 Scott Elmquist Rashana Miller, designer and founder behind Free Maiden, is creating space for a new wave of bold expression with her elegant jewelry. When a promising job opportunity for her husband suddenly landed her in an unfamiliar city with no connections, she was quick to embrace the uncertainty. She tried to get a job in education, sending her résumé around, but says she wasn't hearing back. So Miller was inspired to make the most of her free time by exploring new interests, she says. "I thought, I love jewelry, let me just take this metal class that I saw [at the Visual Arts Center of Richmond]. … After the first two classes I was like, 'I want to do this.' I loved it." With no experience, Miller "put her head down" and began learning the skill. She began forging a cohesive aesthetic to unify her pieces, reaching out to others for marketing advice and mentorship. Of course, she also needed a name for her brand. "My mom has three girls, and she always called us her fair maidens, so I was trying to incorporate her," Miller says. "I used to play around with her jewelry all the time. Thinking about myself I thought, 'free' like a bird, because I'm the one who does everything differently. … Free Maiden was born. It incorporates my past and who I am." Now more than 2 years old, Free Maiden is built on a foundation of personal touch. 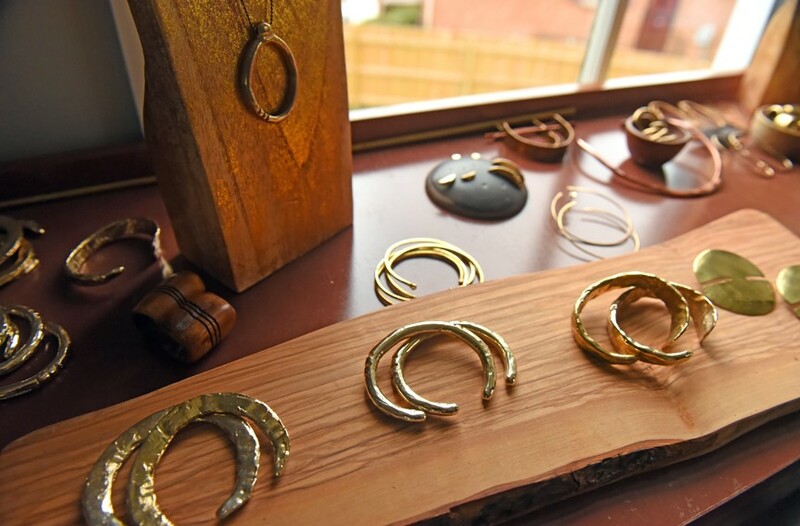 In her home studio overlooking a quiet North Side backyard, Miller hand hammers the metal for each of her ear, neck and wrist adornments. "Adorning yourself is so considered. … It's a deliberate way of dressing yourself," she says. Sometimes she incorporates thrifted and found beads, stones and wood pieces, giving her materials new life through her designs. Each design is made in limited numbers, so "once they run out, you're never going to see them again," she says. Free Maiden's broader, more sculptural forms create space for a particular brand of elegance and a pronounced expression of personality. 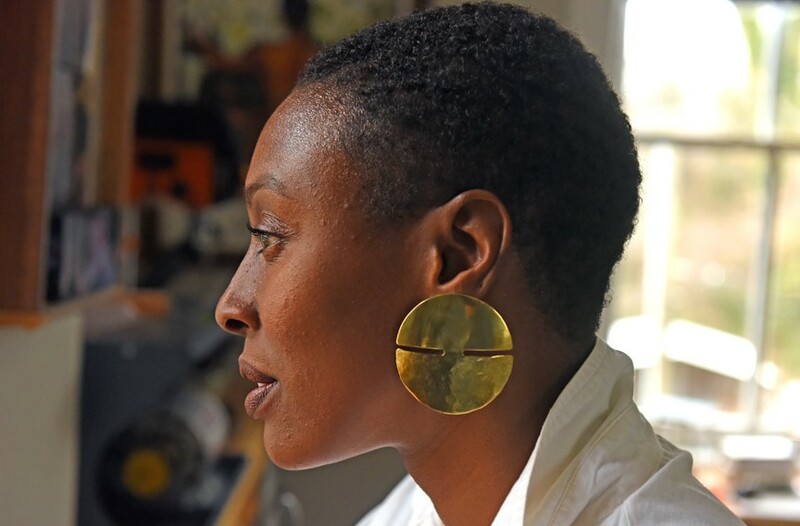 In one of her most popular earring designs, the Ori Shields, the warm brass of each shield transitions from liquid-smooth to a hammered ripple, marking the path of Miller's hand on the surface. 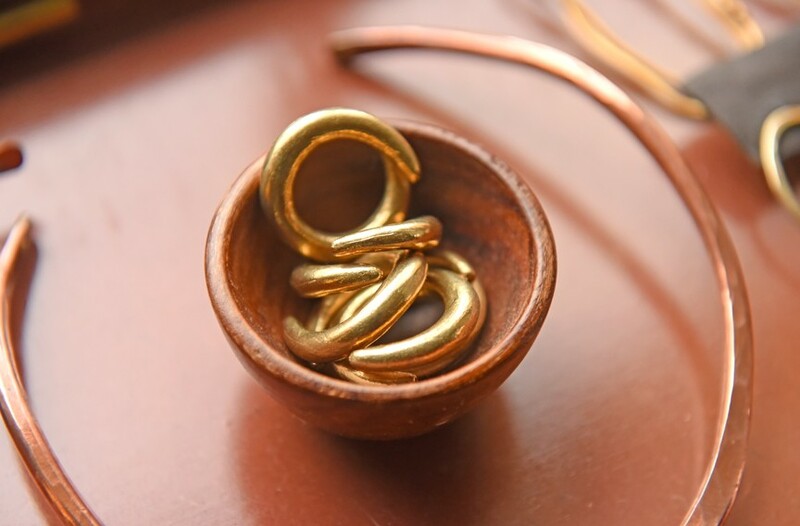 Within today's fashion landscape, the Free Maiden aesthetic joins fellow young brands such as ARC objects and Sophie Buhai in challenging the popular dominance of minimalist jewelry, creating space for a new wave of bold expression. And Free Maiden has found its way onto the shelves of popular Richmond boutiques, including Rosewood Clothing Co., Gilt and Ash, and Dear Neighbor. Running the brand on her own has made Miller develop a personal connection to her pieces. "[Rashana] has amazing taste and style. ... Her pieces are very organic looking," says Ashley Carruthers, owner of Rosewood Clothing Co. "There's not a lot of people doing what she's doing. [Her pieces] are a good everyday staple but they're still so impactful to an outfit. They're bold and organic at the same time." Free Maiden's ephemeral collections demand that Miller continue to evolve as a designer. "I want to give someone a piece that's really one-of-a-kind," she says. Ultimately, Free Maiden's "demographic really is a woman who wants something unique. … Someone who appreciates the different." Miller says that self-doubt has been her biggest challenge and motivator. "[I had] to remind myself to notice the feeling that I have in the studio or when I finish a piece," she says. "I had to trust it, and I became comfortable saying that I'm an artist, I'm a jewelry designer." Miller is interested in connecting her creative work to her education in youth development and her identification as a black, female artist. "I want young kids, especially communities and kids of color, to see that you can live doing this if that's what you want to do," she says. "[I feel] an obligation to show other young women of color, or just people of color, that they have a space here." For information on Rashana Miller and Free Maiden, you can visit freemaiden.com or follow Free Maiden on Instagram (@freemaiden_studio) to find out about pop-ups.